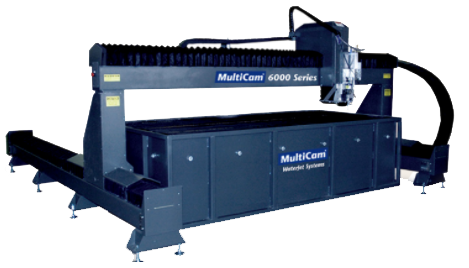 The MultiCam 6000 Series CNC Waterjet may be just the solution you’ve been looking for. It’s been specially designed to accurately cut a wide variety of materials at high speeds. And of course, since you cut with water, you get an excellent finish without an edge damaged by excessive heat. Our manufacturing facility utilizes laser calibration equipment, so you don’t have to second-guess the accuracy and performance of a MultiCam system. 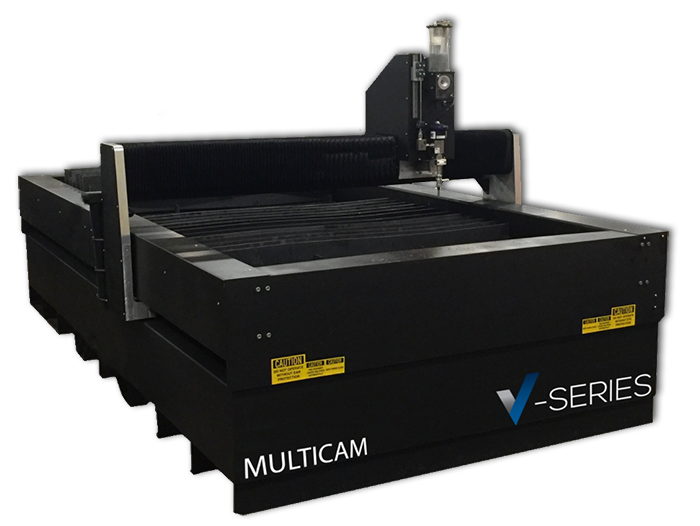 With such an advanced system, this 6000 Series CNC Waterjet is perfect for end-users requiring high-performance and precison. The table is designed for pure water or abrasive cutting system to make high performance, 5-axis cutting versatility and productivity affordable. With over 70 MultiCam Technology Centers worldwide, sales, training, service and support always are located nearby.